Whether they take orders or offer customer service, call centers are all fairly similar. So there are a number of common questions you can expect to be asked when interviewing for a call center job. Here are 8 to anticipate, along with some suggestions for how to answer them. How to Answer It: Emphasize your people skills, since call center work involves talking to people all day. If you’ve ever done volunteer work, now would be a good time to talk about how much you love it. Just be sure to give a fleshed-out answer. 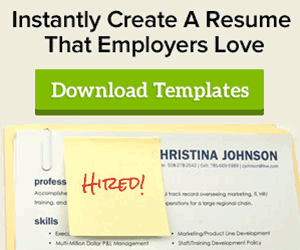 The interviewer wants to know more than the kind of information that is already on your resume. Go deeper than your basic statistics. How to Answer It: Stay positive! Maybe taking calls all day is not your ideal job, but if you really want this one, you need to describe a call center as an environment of excellent customer service with employees who are flexible, cheerful, and extremely helpful. How to Answer It: Before going on your interview, do a little research about the company for which you are interviewing. Being able to rattle off a few details about the company in very positive terms reveals an attention to detail, a team-player spirit, and a willingness to do your homework. Not having a substantial response signals that you don’t take getting this job very seriously. How to Answer It: Explain that you have the people skills necessary for call center work. 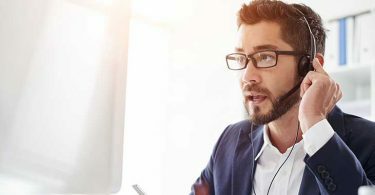 If you don’t have call center experience—and you probably won’t if you are asked this particular question—describe your other work or life experiences relevant to call center work. If you’ve ever worked with customers or clients before, or ever had to defuse potentially explosive situations, you should mention such experiences in your response. How to Answer It: There’s really only one answer to this question: “Going above and beyond expectations” is quality customer service. 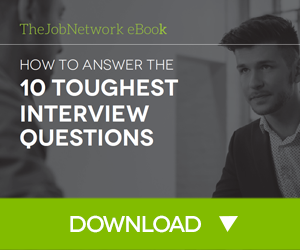 How to Answer It: This is a common question in any job interview. 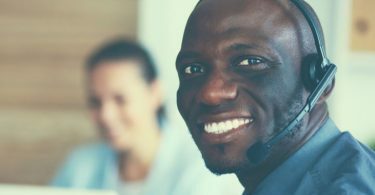 If you’re trying to get a call center job, your strengths should include patience, problem-solving, excellent communication skills, fast learning, and friendliness. Discussing your weaknesses can be a sly way to further emphasize your strengths. For example, you can offer “I tend to work myself too hard” as a weakness. Just don’t mention anything too negative. How to Answer It: Ideally, you would just request the standard salary for someone with your qualifications rather than a specific figure. If the interviewer asks for a specific figure, keep it reasonable without aiming too low or you may end up making less than you deserve. Do some research to find out how much someone with your qualifications should earn at a call center. How to Answer It: This common question is a way to find out if you plan to stick around or regard the job as a temporary steppingstone. A company is not going to want to hire you if you plan to move on quickly, so tell the interviewer that in five years you see yourself working for this very company…but promoted to a more powerful position!